the life of an ancient butler. John Dine, Petworth’s ancient butler, explores how dramatically Christmas changed from his Georgian youth to late Victorian times. Discover how our Christmas traditions developed. Today’s first-time visitor to Chichester would sense a nicely-preserved, intact historic town relatively untouched by the depredations of the philistine 1960s. Those living in the city at the time know better – resentment against what happened in that Annus Horribilis 1964. Ticket includes souvenir glass and beer tokens. Based on the best selling novel about a correspondence between Juliet Ashton and members of The Guernsey Literary and Potato Peel Pie Society, with them sharing their experiences of Nazi Occupied Guernsey. There has been a change to the published talk on Thursday 15th March, due to the unavoidable last minute cancellation of speaker Rose Malyon of Gilbert White’s garden, Selbourne. Instead, we are delighted to welcome Hilary Gilson. She will outline her personal experience of having her garden redesigned and planting it up herself. Hilary will also give tips on entering garden competitions. Aimed at entertaining families with children aged from 4 to 7 years. which will be led by ‘Worker Bees’. Simply drop in, take part and enjoy! Digging for Defence: Fort Nelson 1860-1914..
How to fillet and pin bone a Mackerel. How to prepare a flat fish such as a plaice. You will be working in small groups of 6. You will get to take home all the fish you have prepared for your supper! in aid of helping refugees. Donations of cakes, unwanted gifts, toys, books, jams and preserves will be welcome. 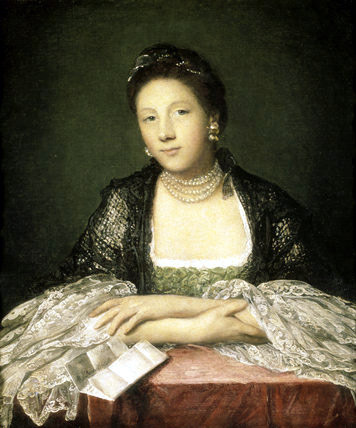 Discover the sensational story of a superstar of 1760s London. How did Kitty build her celebrity image? Why did Reynolds paint her more than any other woman? Why did Casanova decline her charms? What did she charge? A delicious insight into the decade when Fishermania swept Georgian London. 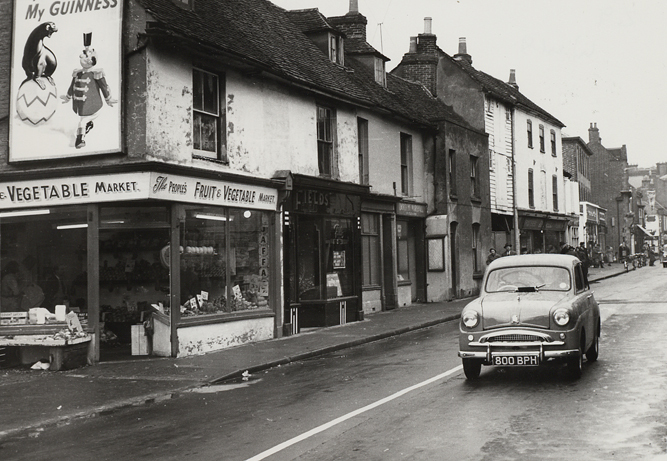 West Street, Havant in the 1950s. Now shops and building plots in West Street, Precinct. Mike opened his photographic studio, Michael Edwards Photography early in 1952 in West Street, Havant. During the next few years he took many pictures of early Havant. During 2002 he re-photographed many of the pictures to show the changes to the face of Havant. This evening we will view and discuss the many changes. Are they really improvements? Enter an imaginative world of memories through thought-provoking poetry and incredible pop-up books in this funny and heart-warming adventure of complicated families and growing up. Food Tasting at 6pm followed by Film at 7pm. Babette’s Feast is listed as one of the top ten “foodie films” of all time. The story of two people who at the end of the road, discover that it’s never too late to love and make dreams come true. Belle is inspired by the true story of Dido Elizabeth Belle (Gugu Mbatha-Raw), the illegitimate mixed race daughter of a Royal Navy Captain. Raised by her aristocratic great-uncle Lord Mansfield (Tom Wilkinson) and his wife (Emily Watson), Belle’s lineage affords her certain privileges, yet the colour of her skin prevents her from fully participating in the traditions of her social standing. Mince pies and a glass of Christmas cheer to help you sing along with the singers. for the choir and the Emsworth Community Association. A real life drama about the life of a young man, Mason, from age 5 to age 18. Our Annual Autumn Quiz night is always a very popular and fun event. Quiz Master Chris Bailey will have all the Questions and Answers. A light drama about a chef who loses his restaurant job starts up a food truck in an effort to reclaim his creative promise, while piecing back together his estranged family. Chef stars Jon Favreau, Robert Downey Jr. and Scarlett Johansson. A humorous, informative, and revealing look at the history of Emsworth, Westbourne and Thorney Island, in terms of the extraordinary events which took place on our doorstep – some of which either made or changed the course of history. Fresh from his BBC R4 sitcom ‘Elvis’ Takes a Look on the Bright Side. This stand-up poet, armchair revolutionary and recumbent rocker is must-see act. ‘Flamboyant, razor sharp text, intense energy and reminiscent of Adrian Michell, John Cooper-Clarke and Linton Kwesi Johnson rolled into one.’ Open mic in first half – we welcome up and coming poets to come along and be heard tonight! A joyous collection of songs which could arguably claim to be the foundations of the glitz and glamour of the Broadway Musical. Jerome Kern and P G Wodehouse wrote over 200 memorable songs together and tonight they’re performed in front of a 5-piece band led by Andrew G Beaumont who delighted so many with his big band at this year’s D-Day Commemorations. An utterly magical stage adaptation of Michael Morpurgo’s enthralling children’s tale set in a library full of books that hold more than stories between their pages. Tomas hates reading, and school, but his world is turned upside down when he meets the Unicorn Lady….! This enchanting and interactive production sparks imagination in both young and old – you too will believe in Unicorns after joining Tomas’s spellbinding journey. Suitable for 5-11 year olds and everyone who loves great stories ! We’re running a book swap – bring an old but no longer wanted book then swap for another at the end of the show. *Presented in association with The Spring Arts & Heritage Centre, Havant. A fascinating dramatized reading of the book about Jeeves and Wooster written and presented in the style of a 1930s radio show. Bertie’s relentless playing of the banjolele creates a rift with Jeeves and the two go their separate ways, or do they? Fast-paced with twists, turns, and unexpected revelations. A film maker recalls his childhood, when he fell in love with the movies at his village’s theatre and formed a deep friendship with the theatre’s projectionist. Rome 1944. Giorgio Manfredi, one of the leaders of the Resistance, is tracked down by the Nazis. He goes to his friend Francesco’s, and asks Pina, Francesco’s fiancée, for help. Pina must warn a priest, Don Pietro Pellegrini, that Giorgio needs to leave the town as soon as possible. Improve your painting of water, boats and yachts on both the sea and river. Some time spent nearby outside weather permitting. This is a course that celebrates the tranquillity and serenity that watercolour painting can offer. We explore the garden as both calm oasis and sanctuary. All above workshops will be based in Emsworth Community Centre, North St. Emsworth and run by David Moignard – tutor & artist. Please note – materials are not included. You may be interested to know there are also regular watercolour classes available for both beginners and improvers. Free refreshments after the Military Parade will be available at the Emsworth Community Centre’s Assembly Rooms. A jazz band starts in Emsworth Square at 9.30am ahead of the Military Parade which starts at 10.30am (viewers need to be in position by 10.15am).